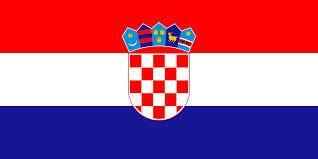 Are you a Croatian looking for a NAATI accredited professional Croatian translation service in Australia? 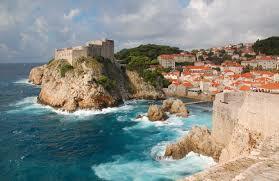 Or are you a person migrating to Croatia in need of a translation for your documents? Look no further! OPAL Translation is a top and trusted Croatian translation provider in Australia. Croatian is a South Slavic language mainly spoken in Croatia and primarily spoken by Croatians living in Herzegovina, Bosnia and certain Croatian minorities in neighboring countries. With a 900-year old history, its literature is a mix of a vernacular of the language and of Croatian Church Slavonic which was later discarded in the mid-1600s. Only the vernacular Croatian literature continues in today’s modern world. With the rich history of the Croatian language, the highest quality Croatian translation service is required which OPAL Translation proudly provides. Our team of Croatian NAATI translators can translate your documents from English to Croatian or Croatian to English at an unbeatable price with fast turnaround times. We offer Croatian translations for several types of documents including driver’s licenses, birth certificates, police records, academic transcripts, marriage certificate, divorce certificates, brochures, manuals, medical journals, and reports. Are your Croatian translators NAATI certified? A big YES! If you’re looking for a Croatian translation service that’s NAATI certified, OPAL Translation has it all for you. Our team consists of experienced NAATI accredited Croatian NAATI translators that will surely deliver translated documents with a 100% acceptance rate for legal and migration purposes in Australia. On average, our team, of Croatian translators has a turnaround time of 2-3 business days. When done, we will send you an email of the draft of the translation for you to review and approve. Once approved, we will email you the soft copy and send you a hard copy via mail. If you’re in a hurry, you can avail of our instant and express Croatian translation services. Just let us know your required deadline so we can provide you our service. Our customer service is available 24/7. The Croatian alphabet was derived from Latin. Croatian’s consonant system is characterized by affricate and palatal consonants which make it relatively complicated. The vowel system is quite simple with five vowels. All of which are monophthongs. Modern Standard Croatian is based on the Stokavian dialect with Kajkavian and Cakavian providing a substantial lexical contribution to the Standard Croatian. The Croatian language makes use of a two-way pitch accent. This is when a stressed syllable has a falling or rising tone. How much are your Croatian translation services? Want an instant Croatian translation? Complete the form and get a firm quote. Most of the one-page documents for immigration purposes are considered as ‘standard documents’ and are priced per document. Note: The pricing below is for indicative purposes only. These can vary depending on the language, availability and delivery schedule. For an exact quote, fill in the enquiry form located on this web page, and we will provide you with a quote. ‘Non-standard’ document translations are priced at a rate of per 100 words.